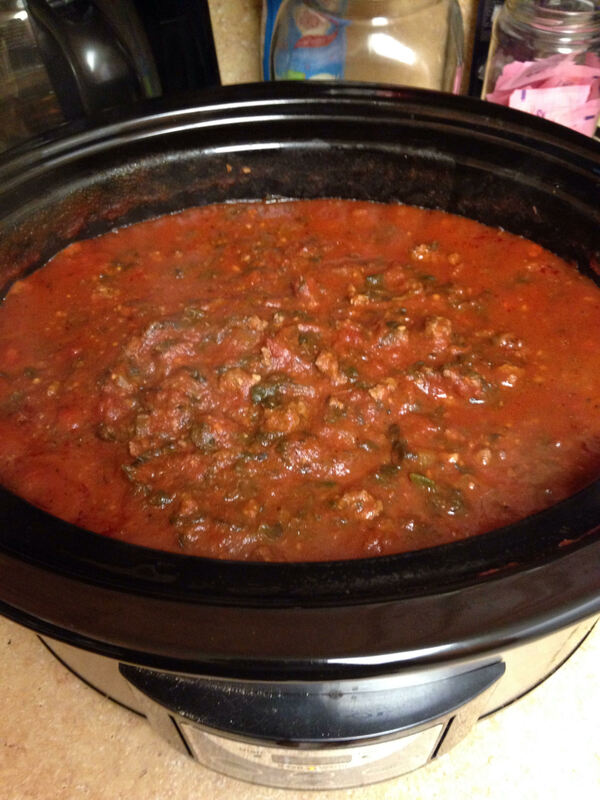 Batch Cooking on the Whole30: Crockpot Spaghetti Sauce | Finding delight. After a couple weeks in the trenches, my biggest tip for navigating a Whole30 is to be prepared. It’s so important to have meals and foods in mind that you can turn to at a moment’s notice. That way you won’t hit the drive-thru or reach for the non-compliant convenience foods stashed in your pantry. One of my go-to, make-at-the-drop-of-a-hat dinners for as long as I can remember is spaghetti. But, on the Whole30, a quick perusal of my grocery shelves put a kink in that plan. 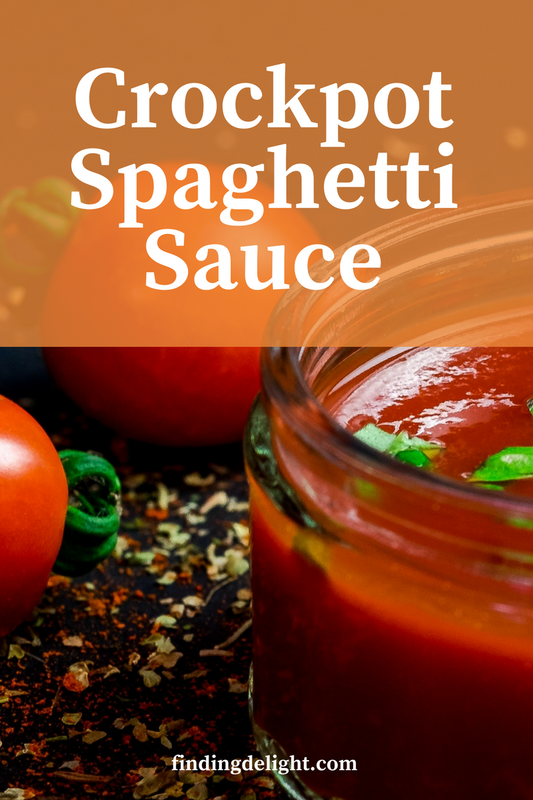 Most jars of pasta sauce contain sugar. So, stashing a few jars for quick week night meal solutions? That’s out for the time being. – Heat your oil in a skillet over med-high. Add onions and cook until translucent. – Add ground beef and cook through. 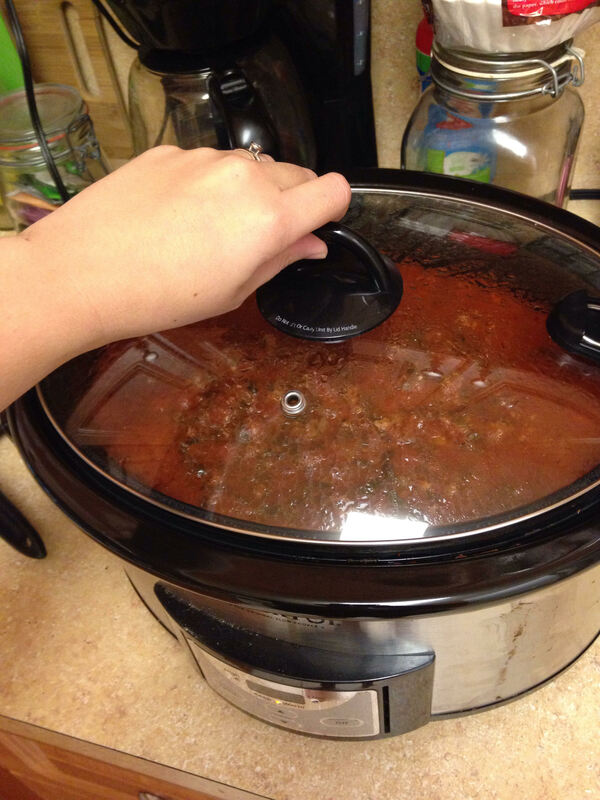 Once the meat is no longer pink, drain the fat and add it to your slow cooker. – Serve over zoodles and sprinkle with nutritional yest! Save the rest for the freezer and pull it out the next time you need dinner in a pinch. Enjoy! P.S. Other Finding Delight recipes.